order for you to create a FANTASTIC WEBSITE ! We Are Your Website People! Unlimited Disk Space - Dell PowerEdge Servers! Unlimited Data Transfer - Go Crazy! Only $7.95 Per Month - Excellent Value! websites. Click Here to learn more. View Now Domain Names - Get Yours Today! View Now SSL Certificates (128 Bit Encrypted). View Now ID Protect - Shield your identity on the internet. VodaHits Submit your website to hundreds of Search Engines. View Now Start your own Affiliate Program - Free Software! View Now Find the all the keywords for your website. View Now Learn how to set up an internet business - A Must! 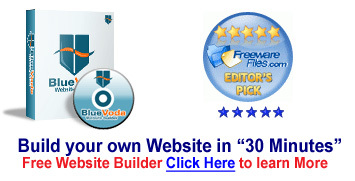 BlueVoda Our award winning FREE website builder. WinZip Worlds #1 file compression utility. Pix resizer Reduce the the file sizes of your jpgs. & gifs. Skype Make internet telephone calls - Brilliant and Free! Ad-Aware Get rid of adware & spyware on your computer. RoboForm Remembers all your passwords and usernames. PayPal Accept credit cards on your website. Spybot Remove All Spyware from your computer. VodaHost web hosting has everything you need to create and publish a fantastic website. VodaHost is an industry-leading Web hosting provider, VodaHost web hosting offers a wide range of feature-rich web hosting options to compliment your new web hosting account. Our professional web hosting plans include all the features you are looking for at the best possible price. In just a few easy steps, VodaHost web hosting can have you up and running with your own free personalized domain, matching email accounts, hassle-free hosting and Top Notch 24/7/365 customer support.